We are leading experts in estate planning including Medicaid planning and elder law, and probate administration in St. Petersburg, Florida. After the death of a loved one, families and friends are often faced with the complexities and emotional struggles of estate administration. Whether you were named a personal representative or an heir, or if you have an interest in an estate, we can help you protect your interests and preserve the integrity of a will or trust. At Carnal & Mansfield, P.A., our St. Petersburg probate administration attorneys offer a broad range of services focused on protecting our clients and preserving the integrity of a will or trust document. Probate is the legal process where a court determines the validity of a will, acknowledges all legal claims to an estate and ensures that will or trust is correctly administered in accordance with the decedent’s intent. A personal representative or executor of an estate may be held personally accountable for ensuring that assets are properly handled or distributed, taxes and debts are paid and all details are taken care of in a timely manner. Our probate attorneys in St. Petersburg can counsel you though the process and protect your rights in the event of a dispute. A will or trust dispute in the estate administration process can become complicated quickly. If you are facing a dispute, it is important to consult with an experienced estate planning attorney as soon as possible who can review your case, identify your interests and aggressively defend your rights in court. We represent personal representatives, trustees, heirs, beneficiaries and other individuals who are impacted by the results of a will or trust dispute or in the probate administration process. Call 727-381-8181 or contact us by e-mail for an initial consultation with our experienced St. Petersburg probate administration attorneys. Our firm offers a 20 percent fee discount to AARP members. Carnal & Mansfield, P.A. is located in Saint Petersburg, FL and serves clients in and around Saint Petersburg, Seminole, Tarpon Springs, Indian Rocks Beach, Largo, Belleair Beach, Clearwater Beach, Terra Ceia, Clearwater, Anna Maria, Sun City Center, Ruskin, Holmes Beach, Safety Harbor, Tampa, Bradenton Beach, Sydney, Cortez, Ellenton, Oldsmar, Ozona, Crystal Beach, Brandon, Hillsborough County and Pinellas County. 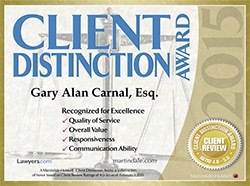 © 2015 - 2019 Carnal & Mansfield, P.A. All rights reserved.